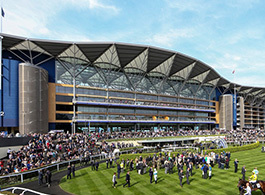 The Veolia Handicap (2.00) at Ascot on Friday is the most competitive race on the card, numerically, and a tight handicap, with just 7lb separating the 18 runners, so looks well worth a crack. Frankly, it’s difficult to write off any of them with any degree of confidence, so we’ve highlighted a couple that we think could go well at rewarding odds. Free Zone is on a losing run of 14, but is consequently 6lb lower in the weights than when rallying gamely to win a 0-90 contest at Doncaster last season and obviously well handicapped on his best form. The Kodiac gelding has form over further, so a testing 7 furlongs should play to his strengths if he’s able to stage a revival and this race looks easier than most he’s contested over the last 12 months or so. Valbchek hasn’t done much racing, at all, in the last 18 months and hasn’t won on turf since his 3-year-old days with Jeremy Noseda, but hasn’t been entirely disgraced on his two starts since returning to action after over a year off and is starting to look well handicapped. In fact, Jane Chapple-Hyam’s 7-year-old is 5lb lower in the weights than when finishing third, beaten just half a length, in a 0-100 contest over 6 furlongs at Newbury early last season, so would be nailed on if able to reproduce that form at this lower level. Lyfka has won two of his three starts over 7 furlongs in this grade this season, off handicap marks of 82 and 83 and was left with too much to do on the other, off a handicap mark of 84, so must have a decent chance once again. The Kheleyf filly has come up short when raised in class on her last two starts, but that should be reflected in her price and she’s fully effective on a sound surface.